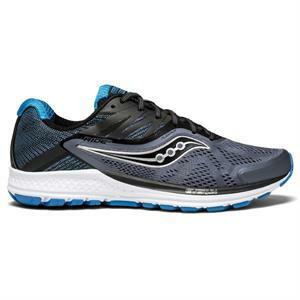 The 10th edition of the Men’s Saucony® Ride franchise brings plenty of new innovation while still delivering a legendary running experience. Featuring a brand new engineered mesh upper, woven heel collar and refined TRI-FLEX outsole design, the Ride 10 moves with the runner and cushions every foot strike. Make every run a "10" in the brand new Ride.